Get a good dictionary to start! The most popular way to study Chinese is through a local university. Programs can be a few weeks, a semester, or an entire school year. You can live in a dorm for the real Chinese college experience, or you can rent an apartment with some classmates. In Beijing, one of the best places to study Chinese is BLCU (Beijing Language and Culture University) in the college district of Wudaokou. They offer four-week, twelve-week, one semester, and full year programs for Chinese language, along with calligraphy, painting, and tai chi. Your course can be standard (20 hours a week) or intensive (30 hours a week). We know many people who have studied here, and it always gets high marks. Its location and diverse student population make it a great place for social life as well. You’ll probably get distracted from your Chinese studies with all the sports, shops, and bars in the area. If you study there for two years, you’ll get a college certificate for your efforts. If you study for four, you can get a BA in Chinese Language Studies. You can even study for your Master’s or PhD here. Although we haven’t studied Chinese in a university yet, we would really like to. You can get into schools in just about every big Chinese city, so don’t think that Beijing is the be-all end-all when it comes to learning Chinese – it’s just the place where we have the most experience. 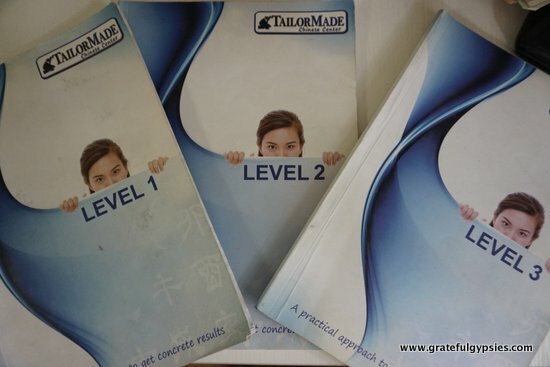 Tailor Made Chinese is a great place to study. If you’re already working in Beijing and just want to get your Chinese up to a decent enough level to get around, order food, and make small talk, then a training center is probably your best bet. These can be found all over the city, and most are very flexible with your schedule. They are meant to accommodate working folks, so classes are offered in the evenings and on weekends. Most training centers also offer a variety of courses. For example, if you just want to improve your speaking, you can take a class focused on oral Chinese without learning how to write characters. 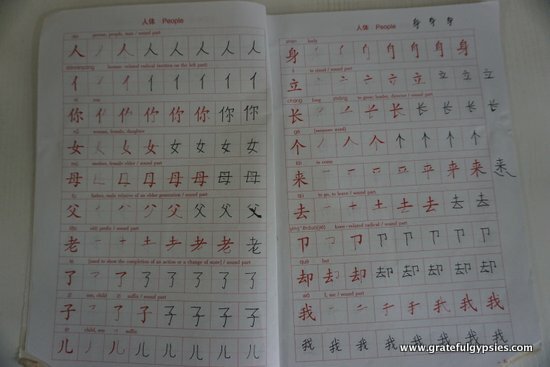 You can also prepare for the HSK exam, study calligraphy, or just learn about Chinese culture. Classes can either be one-on-one or small groups, and they’re usually two hours each time. Most Chinese teachers at these kinds of places also speak English quite well, so they can translate if necessary. We both studied for a few months at Tailor Made Chinese Center in Beijing, and we had a great experience there. They were very flexible with our busy schedules, our course was reasonably priced, the teachers were great, and we managed to get our Chinese up to a pretty good level by studying there. They’re also in Shanghai, Shenyang, Xi’an, Tianjin, and Xi’an now, so you can find them in those cities as well. If you really want to dive deep into Chinese language and culture, why not sign up for a homestay? Live with a Chinese family, eat Chinese food, and be exposed to the language night and day. This kind of immersion program can be a great experience and it will surely help improve your language skills quickly. We have no experience with this, but we’d love to try a homestay someday. There are now two kinds of student visas – X1 for long-term and X2 for short-term. Your X visa is only valid for 30 days upon arrival, and your institution needs to get you a Temporary Residence Permit, at which time your visa can be extended. You need the Foreign Student Visa Application Form (JW201 or JW202) and the admission notice from the organization. The organization must be accredited for offering courses to foreigners. You’re not permitted to work on this type of visa. Of course, a lot of people do take on part-time English teaching work in addition to studying. If you’re already in China, some institutions may be able to help you out with your visa if you need it. For example, if you’re here and your visa is running out, a training center may be able to help you extend it. This totally depends on the current visa policies, which change frequently. Of course, you can always just hire a private tutor if you are living in China. There are plenty of people out there who are looking for part-time work teaching Chinese to foreigners. You can arrange the classes at a time and location that’s convenient for both of you, so this is a good option for people who are too busy to take a course. You’ll find that some people are very qualified to teach Chinese, while others have no idea what they’re doing. Arrange for a few trial classes and if it seems like a good fit, you can meet more often or have longer sessions. Costs vary depending on the person, but you should probably expect to pay between 100-200 RMB/hour. 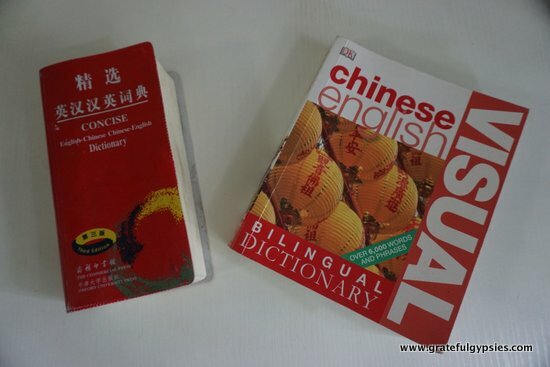 There are tons of Chinese people who study foreign languages, especially English. As such, it’s easy to find a language partner to meet with for an exchange. It’s a symbiotic relationship as neither party has to pay anything and both people learn a language. It may seem unfair, but your English teaching skills are definitely more in demand than their Chinese skills, so you may do an hour of Chinese and half an hour of English each time. Get some books and DIY. There’s a lot of software available for computers so you can study Chinese from the comfort of your home or office. While most people are familiar with Rosetta Stone, I personally recommend using Transparent Language. While I do work for them as a blogger, my endorsement has nothing to do with this. I’m not an actual employee, so I don’t have much incentive to promote the company; I just think that their products are superior and cheaper. Plus, they have the language and culture blogs, social network communities, and YouTube channels that others lack. A search of iTunes will turn up a few podcasts to help you learn Chinese, most notably Chinese Pod. You can download the MP3s for free and you can pay to sign up for some of their guides and additional services. There are also plenty of MP3 courses out there for sale as well, so you can learn Chinese on the go. Transparent Chinese – Of course, I need to give a shameless plug for my own work over at the Chinese Language and Culture Blog for Transparent. I post several articles and videos every month on a variety of topics. Learn some Chinese, check out some great places across the country, and get tons of info on the culture. http://www.chinese-tools.com/learn/chinese – You’ll find a ton of content on here, including 31 original lessons that you can follow to build up your Chinese. http://www.clearchinese.com/learn-chinese/index.htm – This website has 15 free MP3 lessons with easy to follow guides, and is great for beginners. http://www.chineselearner.com/ – Learn how to speak, write, read, and much more with the many lessons on this site. fluentu.com – This interactive site is a very cool way to learn Chinese, as you learn through actual Chinese commercials, music videos, and TV shows. http://www.chinesewithmike.com/ – Mike may be a lao wai (foreigner), but his Chinese is great and he’s both a good and hilarious teacher. Check out his many videos for free to improve your Chinese. Learning Chinese can be a daunting, frustrating task, but as long as you’re willing to put in the work and practice speaking, you’ll get there eventually. I came to China with nothing more than an awful, out of tone “Ni Hao!”, but after a few months of small group classes and chatting with cab drivers I was able to hold a conversation. I still can’t read or write very well, but that was never my focus to begin with – I just wanted to be able to communicate! If this lazy hippie can do it, so can you! 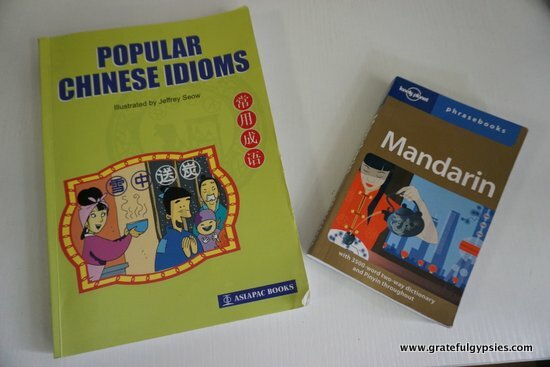 Just remember that old Chinglish idiom – “Good good study, day day up!” For more on what it’s like living in the Middle Kingdom, check out our guide to daily life in China.